Is This the Most Beautiful Airline Branding Today? Those in the design world are probably familiar with Tyler Brûlé, the entrepreneur with an eye for style who launched Wallpaper magazine in the 1990s to great success, cashing out when it sold to Time Inc for one million British pounds. In 2007, he launched Monocle magazine, “a briefing on global affairs, business, culture and design” that sits on the coffee tables of the world’s most influential and creative. 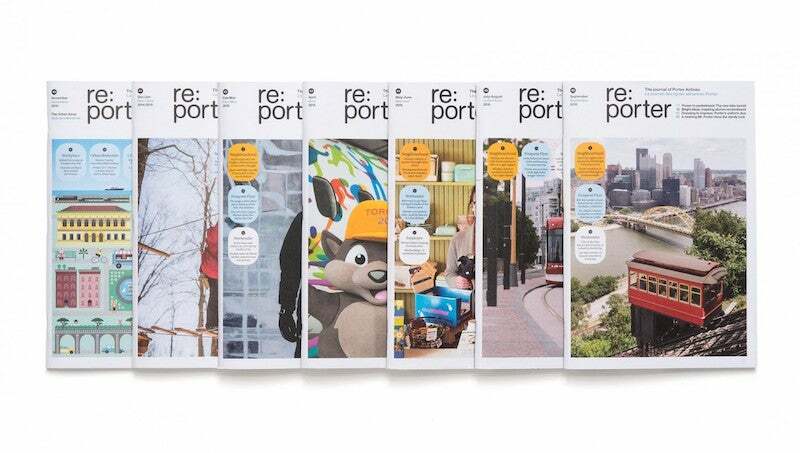 Its iconic design, focused journalism and sophisticated presentation make it just as much a piece of art as it does a publication, with an array of layers to the business that include podcasts, beautifully done travel guides and collaborations with leading brands. In short, Brûlé’s one of the most influential magazine guys in the media landscape with a brand that can only be described with one word: immaculate. But his most impressive business isn’t his magazines or his journalism — it’s his creative. 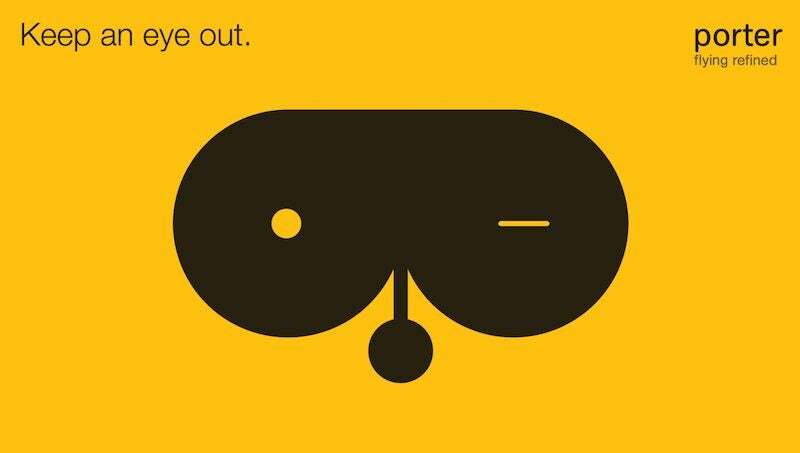 Years back, Brûlé conceived Winkreative, an intelligence-based agency helping corporate identities and advertising campaigns be more visually tasteful. Based out of Zurich, they have a client list that ranges from American Express to James Perse — brands with a hint of luxury and class that only elevate by the touch of Brûlé and his team. 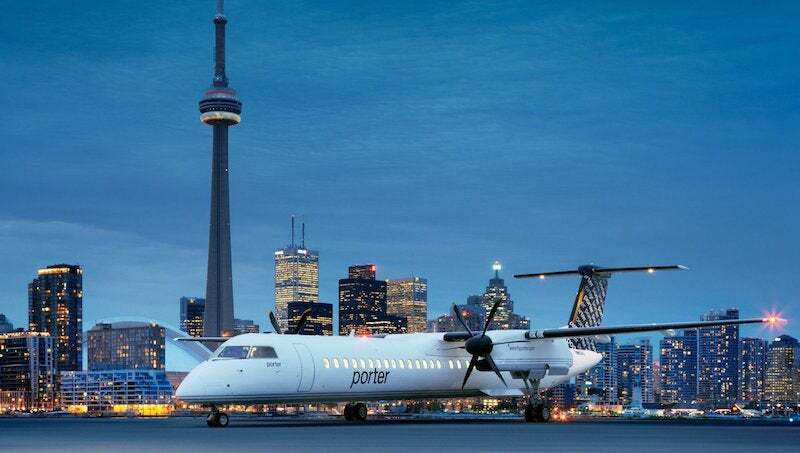 Though most of the agency’s work turns heads, the most exciting project in its portfolio has to be for Toronto-based Porter Airlines. For those who don’t regularly fly to or within Canada, there’s a good chance you’ve never even heard of this carrier. Small with old-fashioned service and values, it’s the kind of airline that goes out of its way to take care of you and do so in style. Winkreative conceived the project “as a return to the golden age of aviation,” and were involved in everything from the naming and the design to the livery and the in-flight publishing. “Porter” was chosen due to its meaning — of “carrying with care” and “lightening the load” — a fitting (and rather perfect) description for an airline. 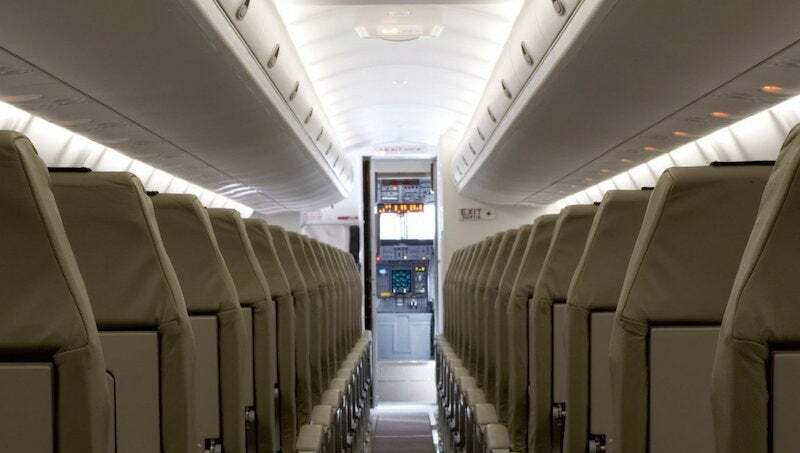 The livery is clean-cut and modern, a nice balance to the warm aircraft interiors, which look more like the backseat of a Bentley than your typical coach seating. The in-flight magazine feels like something you’d see at a stylish boutique, not next to a dingy old copy of Sky Mall. 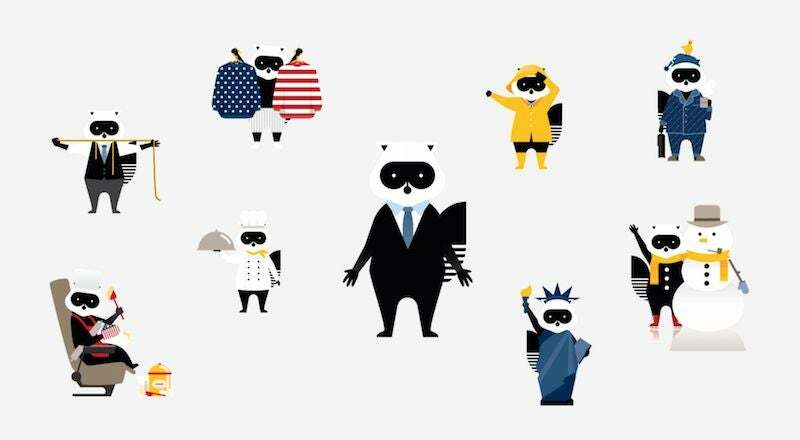 And perhaps more impressively, Winkreative somehow managed to make a cartoon raccoon, the mascot of the company, suave. Like a mix of something out of a Wes Anderson movie and mid-century airplane advertisements, it’s pretty much perfect. In a world where many airlines simply blend together and feel the same, it’s incredibly refreshing for one to be so thoughtful with its design and details. Is this the most beautiful, stylish airline branding today? If not, which brand does it better?